When you are travelling, your life basically will always be on the go. Things can go by pretty fast, there are things going on almost every single day or even minute. You cannot predict what will happen in the next hour, it can be completely a lazy and quite day or you will meet someone who will invite you on a spontaneous trip. Sometimes, your plans won't fall on the right time, the next thing you know is you are packing and in a rush to go somewhere or do something even your bath towel is still dripping wet. Having a quick dry towel for backpacking will help you in these situations. Not to mention its greatest value - it saves you so much space in your luggage. Unlike traditional cotton towels we use at home, these micro-fibre towels take so less space, dry super fast, and they are very lightweight as well. Simply perfect for travelling, camping, or for any other outdoor or sports activity. 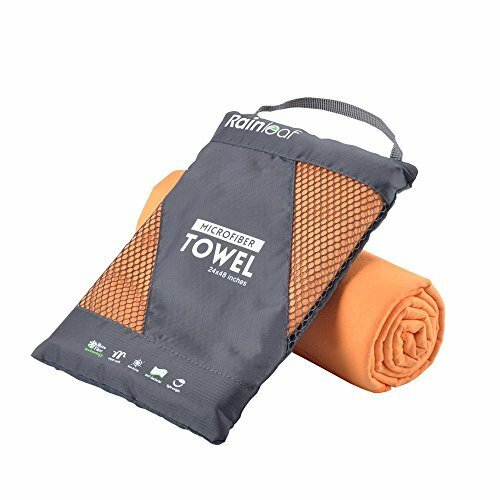 BUYING THE BEST QUICK DRY TOWEL FOR BACKPACKING OR TRAVELLING:What to consider? I listed the five best quick dry towels for backpacking on this article, these towels are already great for what they do. However, some people prefer features that others don't really care about. This post should help you decide which one is the most suitable for you; for backpacking, camping, gym, and/or sports. If you are unsure if a quick dry towel is for you or not, check out these reasons why you should buy one and see for yourself if this is something you think you might need. I also listed the cons of bringing or having one to be more transparent. Perfect blanket - ever had the experience where your dorm room is freezing and the blanket they provide is just a thin sheet or the time you were stuck in the airport or on a long bus journey? 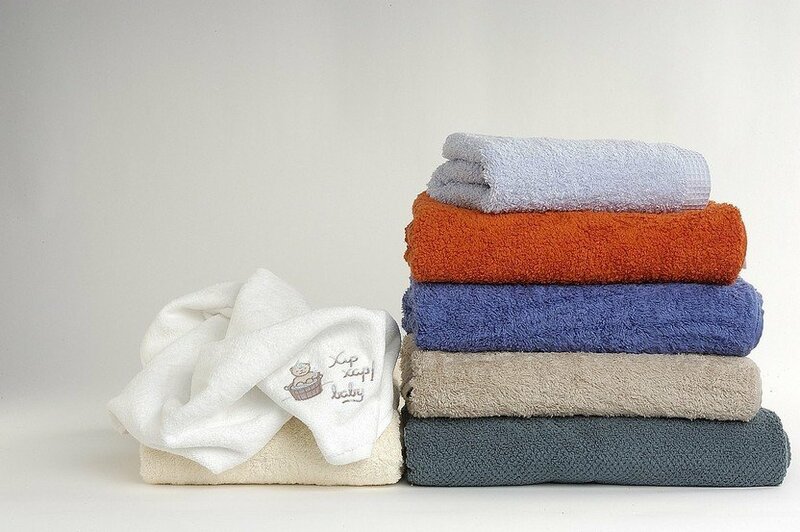 These towels can keep you warm in those emergency situations. Dry very fast - this is basically its most important feature, these towels can dry way faster than the actual one we use at home. It's perfect for a backpacker who is always on the run or campers who cannot wait for the sun to shine especially when camping during the cold season. They stink - if you fail to look after it, at some point, it can stink like any other clothes or towels. If you get a cheap one, you bet that in the middle of the trip, they can be smelly even after washing it a couple of times. It's a pain if you lose it- some people might steal it, while in often cases, travellers just forget that they hang their towels somewhere and they had to run. Once you lose it, it's a challenge to find these types of towels or the good brand ones in some destinations. If you are looking for a quick dry towel that can last you long, there are a few things and features of a towel that you need to remember and look into before buying one. This section will help you make your own checklist to find the most suitable towel for your backpacking, travelling or camping. 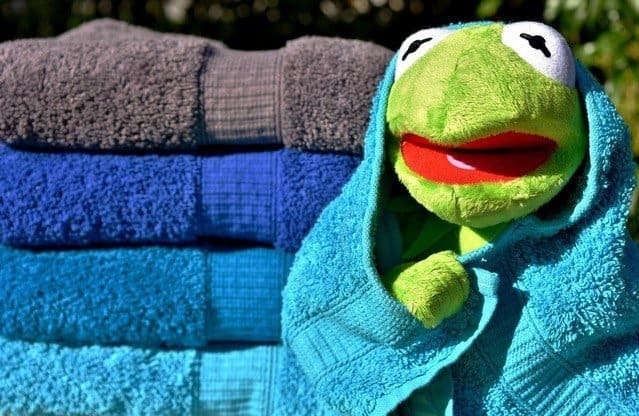 The feature of a towel to dry quickly lies in its material, apart from that, some people just prefer a specific material while others are allergic to some type of fabrics. Therefore, it is important that you choose the right material for you. The material also affects the weight of a towel, the last thing you probably want to happen is to add a towel that weight more than the rest of your clothes. If you have a limited space or travelling with carry-on only, you the weight of your towel should be considered seriously. If you have a lighter luggage or backpack, it lets you move quicker and pack faster especially if you are running for a flight or bus. A good towel for backpacking or camping should be less than 120 g or 5 oz. 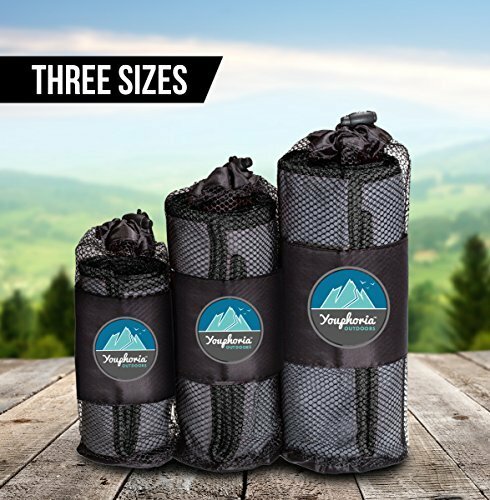 The size and dimension options for quick dry towels for backpacking varies. Some towels are just for face, hand, and body. When choosing a towel especially for your body, you, of course, have to look into your body size and see which one fits you well. This goes without saying but to remind you, we all know that bigger or bulkier towels dry slower, heavier, and can take up more space. Personally, I have a towel with big dimensions, however, it's super thin therefore when I pack it, it takes almost no space. I highly recommend you to get something not more than 20x40 in or 50x100 m.
Technology made its way to every corner of human life even to quick dry travel towels. 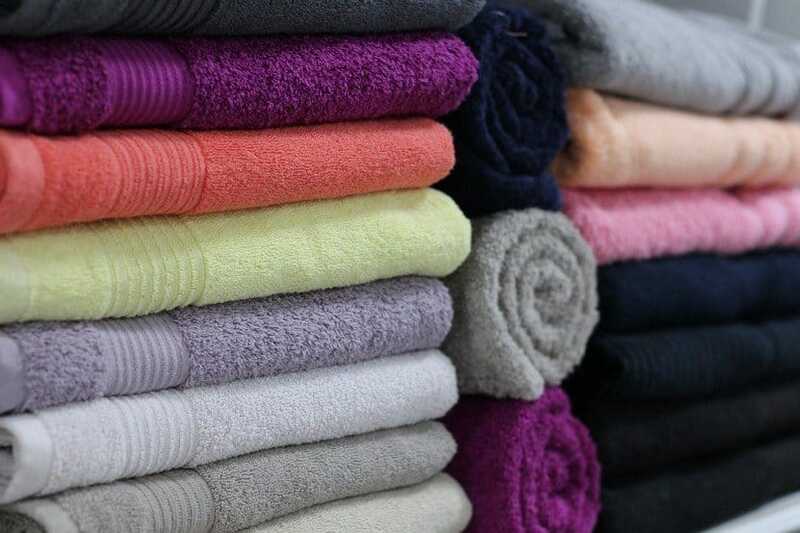 Some towels have a feature of antimicrobial treatment where it helps to keep the odour and bacteria away. This help you have your towel useful for a longer period of time, however, keep in mind that these antimicrobial treatments go away eventually. Now, the one of the most important question, how much is a quick dry towel for backpacking or camping? The answer is pretty simple, how much are you willing to spend? What features are you looking for? The size, material, and features of a towel affect the price. 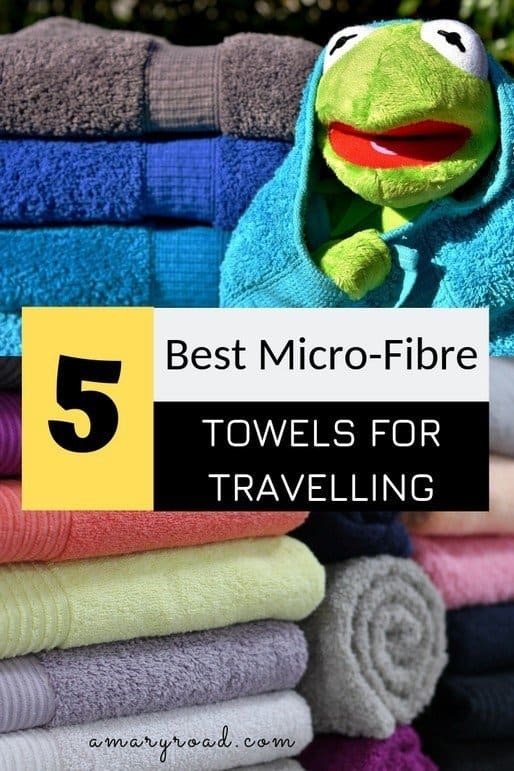 If you are looking for a travel towel for a short trip only or your travel normally just last for a week or two, perhaps you don't need the antimicrobial feature. If you are going to be on the move all the time, the towel that dries the quickest is the best for you. 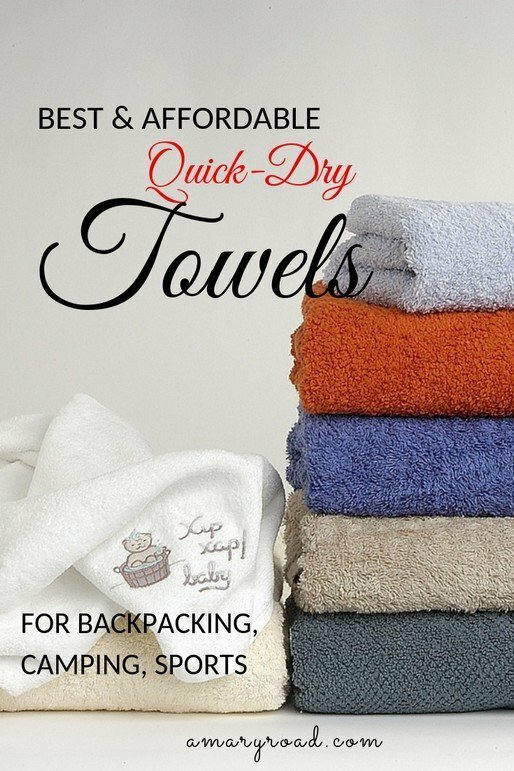 Here is a quick peek into the best quick dry towels for backpacking or travelling. Through this comparison table, you can see which one the best for each category. If you need more in-depth explanation or review for each towel, scroll past the table and you can read more about our featured towels in this article. This section reviews all best quick dry towels that are listed on the comparison table. I wrote down why they are the best, their pros and cons, and other related features to help you decide which one is the most suitable for your needs. Rainleaf Microfibre Towel is one of the most reviewed quick dry towels on Amazon, many reviews love how soft the material is and how lightweight it is. It is also remarkably great for those with sensitive skin. For its price, it's probably one of the best deals on the market. Sunland Microfibre Towel is also well-praised on Amazon by its users who bought the product. They enjoyed how lightweight, faster to dry compared to other brands, while its material is also more comfortable than the normal microfiber towels. It's also one of the most affordable quick dry towels on this article. 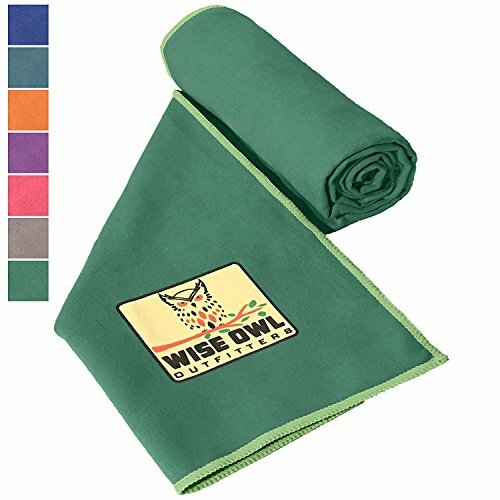 This specific microfibre towel from Wise Owl also has many reviews (5 stars) from qualified purchases on Amazon. Although it's more pricey than the two towels above, it's still on the affordable side. It also comes with an extra hand/face towel with the size of 12x12 in. If you order the XL one, the extra towel will be 12.24 in. Many users find the size a great deal breaker compared to other brands that offer smaller dimensions. Youphoria Microfibre Towel can hold most water on this list. If you like wrapping your head with a towel or have a long hair, this is the best for you. It has a snap loop which means you can hang it and snap it around to make sure that the wind won't blow it away. Micro-Miracle's Microfibre Towel comes in one size only, as a body towel. While each pack comes with an extra hand/face towel too plus its own carry-on pouch which is both useful. It also has an anti-bacterial treatment which helps to keep it clean and last longer. Personally, I would choose Sunland Microfibre Towel, the reviews are great, while it has some negative reviews too, the price, the size options, and the fact that it has 2in1 option, I'm sold. My second option would be Youphoria Microfibre Towel, if I'm spending money anyway, I'd choose one that can hold water most. I like wrapping my hair around a towel which means one that can hold water most will be best for my needs. Like any other possessions we have, we must know how to take care of our towel. To keep your quick dry towel in the best shape and to make them last longer, here are some tips on how to look after your towel. 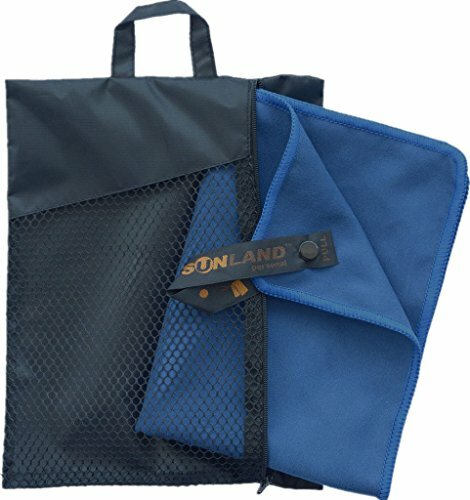 Did you find the best quick dry towel for backpacking or any other travel trip you have? I hope that this article helped you decide, if you have any questions, please leave them in the comment section. We highly recommend you check their Amazon reviews to get an answer faster. A MARY ROAD IS A PARTICIPANT IN THE AMAZON SERVICES LLC ASSOCIATES PROGRAM, AN AFFILIATE ADVERTISING PROGRAM DESIGNED TO PROVIDE A MEANS FOR SITES TO EARN ADVERTISING FEES BY ADVERTISING AND LINKING TO AMAZON.